Mendelson's Memos: Review: Amour (2012) is an unflinching, devastating, but ultimately humane look at what awaits us all. 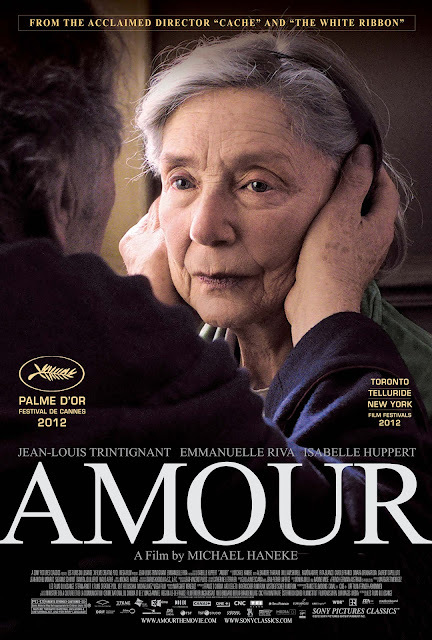 Review: Amour (2012) is an unflinching, devastating, but ultimately humane look at what awaits us all. Michael Haneke's Amour is among the best films of the year, yet I'm not entirely sure who I would recommend it to. It is fearlessly acted by its leads (Jean-Louis Trintignant and Emmanuelle Riva) and it is insightful in ways beyond the mere clinical exhibition of its subject matter. It is the best film about aging since Sarah Polley's Away From Her and even that Alzheimer's drama has a few moments of release that Haneke is unwilling to provide here. But it is almost cruel in its depiction of the inevitable and for those not predisposed to seek out cinema for cinema's sake, it is a film that will bring only discomfort and pain. It is arguably a masterwork, but it's not a movie I ever intend to watch again. 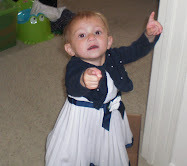 Whether you feel the need to watch it once, that's up to you. The story is as simple as it seems. It's two hours of Emmanuelle Riva, a formally robust and active woman in her eighties, slowly dying after a series of strokes leave her unable to care for herself. Jean-Louis Trintignant plays her bereaved husband, doing his best to put on a brave face as he becomes her full-time primary caregiver, doing all he can to fulfill a promise that his wife not die in a hospital or a nursing home. The grim details are all there, and the film never looks away. The picture is clinical and explicit and the journey is as much about Trintignant struggling to maintain his own humanity as it is about Riva accepting the inevitable. There is a token subplot involving their daughter (Isabelle Huppert) and her struggles to deal with what's happening to her family, but mainly this is a two-person show, and both of them are absolutely superb. Riva gives a brutal and unflinching physical performance, showing the very real ravages of those final days while doing her best to maintain a sliver of dignity to the end. Trintignant obviously gets more to do as the film goes on and his onscreen partner becomes bedridden, and he has some wonderful moments with the few other characters who occasionally enter the frame.